We posted a list of stipend recipients for FY2019. We posted the admission requirements. We posted a list of stipend recipients for FY2018. We posted the application form for Frontier Students Screening. We released successful applicant (2018) of selective examination in our program. Orientation session for enrollment in Leading Graduate School in 2018 will be held. You will choose a major and a minor from three areas (Mechanical Systems, Social Systems, and Human Systems), and learn about theories and methods of acquiring and digitizing data in your selected areas. 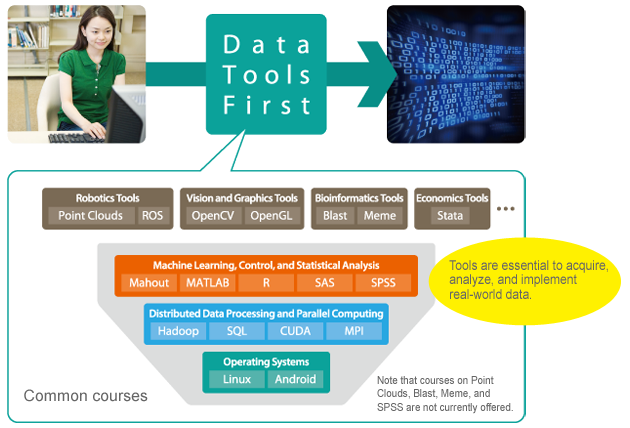 You will learn how to use a broad range of tools and methods to analyze real-world data. RWDC Special Lab Course on "Data Tools Hands-On"
You will learn how to utilize analysis results through case studies of real-world data circulation. In the later years of your studies, you will experience actual cases provided by contributory members from industry or other sectors outside of the university. In addition to gaining experience in industry by participating in internships or industry-academia-government collaboration projects, you will obtain international experience through summer school programs or international collaborative research. 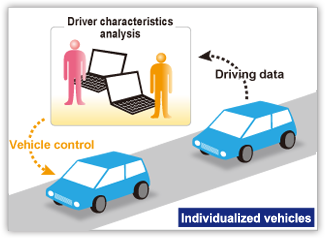 To produce global leaders in data circulation, which involves incorporating the desires of users into new products, services, and social values, the curriculum encompasses both fundamental knowledge of real-world data circulation and hands-on training in a broad range of fields in Japan and overseas. Research guidance is also provided so that students complete the requirements to obtain a Ph.D.
＊Coursework covers fundamental knowledge in real-world data circulation. 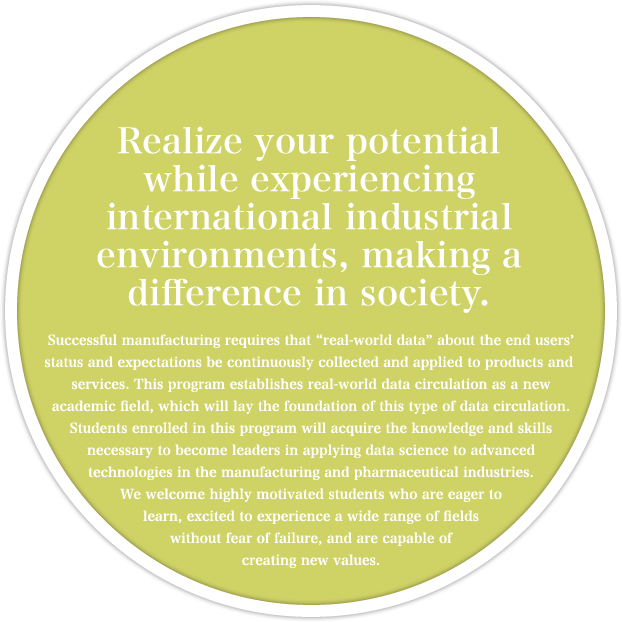 The cycle of data acquisition, data analysis, and data implementation is repeated over three years to gain a broad understanding in the fields covered by real-world data circulation, including engineering, social sciences, and humanities. This is an introductory course on data processing, which is offered prior to program commencement to guarantee that new students have a minimum level of knowledge on this subject. The program includes lectures and seminars on the practical skills required to become business leaders and managers. 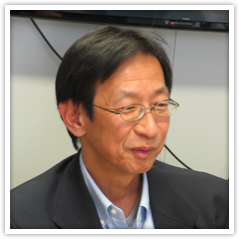 These are offered in conjunction with external lecturers, other leading graduate school programs, and the Business Capacity Development Center of Nagoya University. This program lets students experience circulation between development research and fundamental research while working on their thesis. Students will engage in project-oriented group work and internships in conjunction with our industry partners. Our industry-academia-government coordinators build projects lasting about six months, aligning our Master's seminar projects with industry needs. Each student participates in a project with the objective of making a research proposal from the university to a corporation. 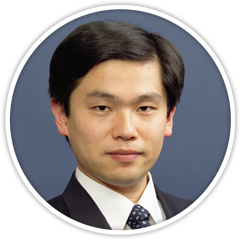 This project work is conducted in partnership with the innovation stream initiatives of Nagoya University. Students participate in joint research internships provided by the Graduate School of Engineering, the Graduate School of Information Science, or our industry partners. Students will experience global circulation of industry and international cooperation through international experiences, which have a preset duration. 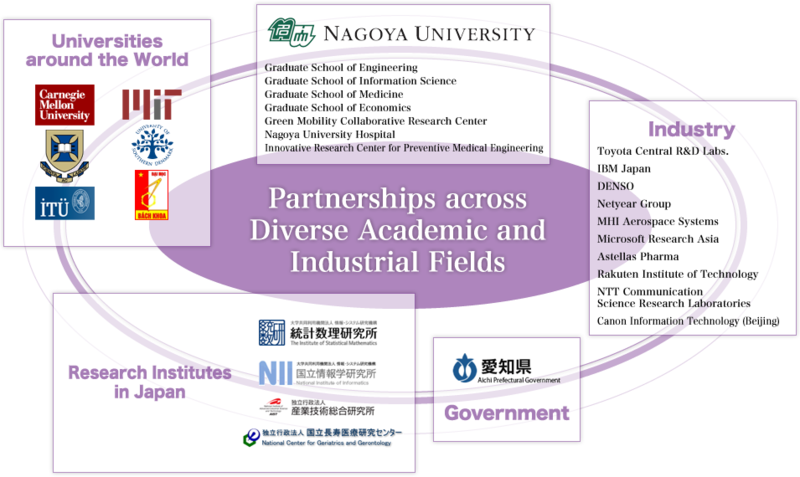 Students will support summer schools under the Nagoya University Summer Intensive Program (NUSIP) at major overseas production centers of Japanese corporations. Students will engage in visiting research at research institutes overseas. To encourage independent research that encompasses multiple disciplines, students will choose their own supervisor for their intermediate and Ph.D. thesis projects. If desired, they can also choose an external supervisor. Under the supervision of a faculty member in the appropriate specialty at the time of program enrollment, students will conduct Master's thesis work on a topic of their own choice within "acquisition, analysis, and implementation of real-world data circulation." Under the guidance of an intermediate thesis supervisor, students will prepare a Ph.D. thesis plan and present a research plan during the D1 year. 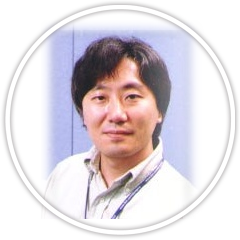 The research plan should aim to resolve a specific issue based on the circulation of real-world data. With the approval of a Ph.D. supervisor, students will conduct and write a Ph.D. thesis based on their research plan. An internal Ph.D. supervisor should be accompanied by an external sub-supervisor. Two qualifying examinations (QEs) are required as intermediate assessments. The purpose of the examinations is to motivate students to study and to ensure a certain level of ability. 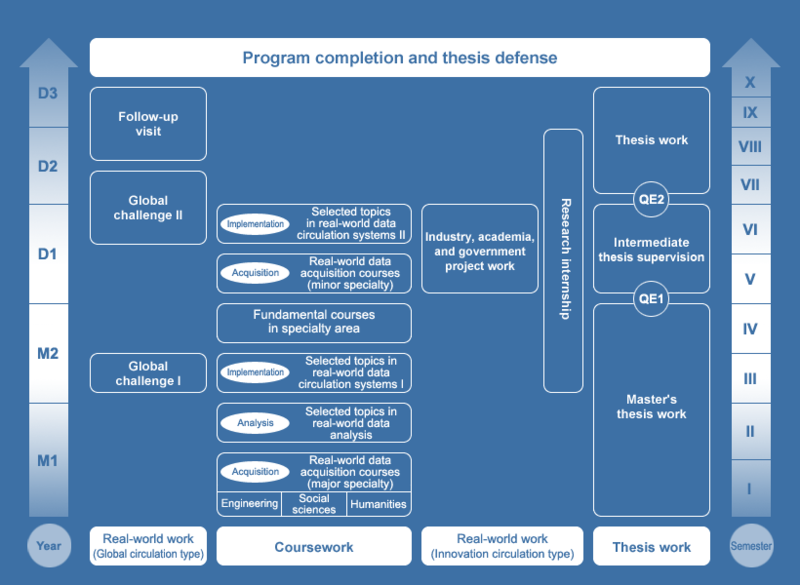 QE1:Master's thesis is evaluated independent of the requirements for a Master's degree in each department (Master's thesis). The major criterion is whether the student can properly position his or her research in actual real-world data circulation. 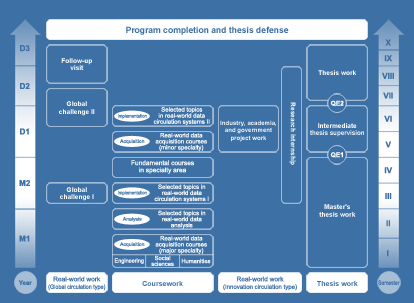 QE2:The plan is evaluated for its tangibility to create value by means of the real-world data circulation, and how the Ph.D. thesis work may contribute to the field. The research plan can be modified as many times as needed until the evaluation is satisfactory. 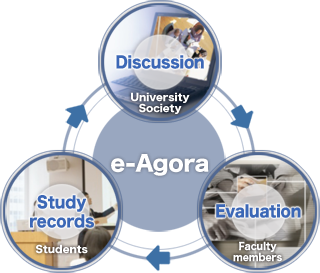 To support student activities and facilitate progress, our program implements e-Agora, which is an e-portfolio system that saves and organizes each student's studies as blogs and documents. A student can review and share what he or she has learned with other students, faculty members, and colleagues in the network. Students can save and organize their studies [remarks, discussions (described later), seminar reports, and papers]. These items can be reviewed at any time. Students can share their portfolio with other people, including faculty members and other students. Part of the portfolio can be shared publicly (with due consideration of privacy), allowing students to obtain feedback from various points of view. Students can communicate with other students and faculty members on SNS. Discussions can also be evaluated, enabling a wide range of student abilities to be incorporated into the program evaluation, including their perspective, ideas, attitudes, and thought processes. The portfolio can be shared with our industry partners and can be leveraged to build students' careers, including recruitment. For example, those who want to become data scientists and acquire technical knowledge and experiences that would enable them to make a difference in the world. Students will experience the circulation between development and basic research through activities in an industrial workplace and acquire practical knowledge and skills that cannot be taught in the classroom. 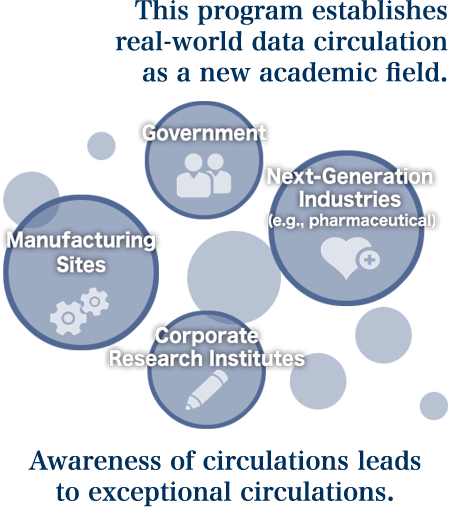 Students will join a team in which every member is assigned a specific role to work on an industry-academia-government collaborative research project. Projects last about six months and are determined by the university. Students will conduct research in industry and experience corporate management. Students will enroll in a summer school program at an Asian company outside of Japan, and will conduct research at an overseas research institute to learn first-hand about global industrial circulations and experience cross-cultural collaborations. Students will participate in a two-week (approx.) summer program with local students and young engineers in Hanoi or Istanbul, which are both major manufacturing cities, and gain first-hand experience about the international division of labor in global industries. Students will stay in a foreign country for about three months to conduct research at an overseas research institute. They will develop an understanding of international competition among world-class researchers, and forge ties with some of the brightest young researchers in the world. Students will revisit the research institute in which they worked for one to two weeks with a group of students with other areas of expertise. In addition to learning about cutting-edge research in different fields, students will expand their personal professional networks. →Lectures and instructions are given in English. Video conferencing systems are in place so that students can casually exchange information with students in other countries. →The university has exchange agreements with numerous academic institutions around the world (27 in the United States, 36 in Europe, and 61 in Asia), and is part of the Academic Consortium for the 21st Century. →Students who are about the same age but with different backgrounds can intermingle with one another on a daily basis. Real-world data circulation is an academic field that investigates the acquisition, analysis, and implementation of data in the real world. It is essential for students in this field to master data processing tools, which can be used across multiple fields such as engineering, information science, medicine, and economics. We have prepared a unique curriculum that aims to standardize the fundamental skill sets required for real-world data circulation through practical lab work. Students experience a whole set of tools required for real-world data circulation and gain an appreciation of what kind of data and how each tool can manipulate it. By manipulating the tools discussed in the introductory courses to develop a real-world data circulation system, students gain a deeper appreciation of what they can achieve with these data processing tools. The leaders' saloon seamlessly integrates a lab style space and a cafe style space. 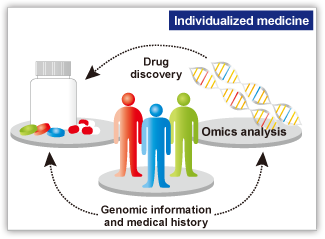 It is designed so that multiple individuals can easily work together. The leaders' saloon allows Program participants from different graduate schools and research groups to gather spontaneously, engage in discussions and presentations using cutting-edge IT technology, and refine communication skills. 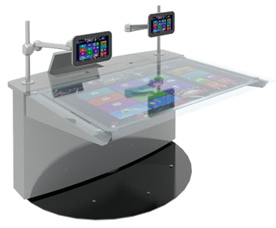 A tablet computer screen can be projected over a table that can be operated as a touch panel. The design of the facility makes it easy for multiple individuals to work together and encourages active communications. 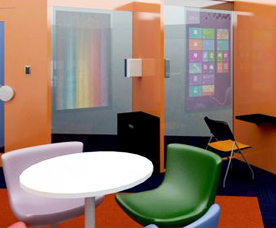 Digital posters are posted on partition glass panes, and they can be intuitively operated as touch panels. This panel can also record presentations. Making mistakes and experiencing failures means that one has attempted to overcome challenges. I want our students to know that it is okay to make mistakes. As one ventures into unknown territory, it is natural to experience failure on occasion. Fortunately, there are many more possibilities for success than for failure, and all of these experiences allow people to grow. For this reason, I want students to tackle challenges without fear of failure, to discover new possibilities, and to grow as leaders. This program allows students to make mistakes as they realize their potential. Nowadays, new ideas take concrete shapes quickly. Real-World Data Circulation is the academic field that involves methodologies and skills necessary to turn ideas into reality. To help your ideas take a concrete shape, as part of this program, you can access to exclusive cutting-edge facilities and equipment, including 3D printers. In addition to providing an atmosphere where ideas flow freely, this unique environment will help you improve your presentation and communication skills. I am looking forward to your participation. Do you have ambitions to work with people speaking different languages or in a different country? In today's world, the torrent of globalism is rushing around us. Why wait to realize your dreams? Now is the perfect time to begin your worldly adventure. 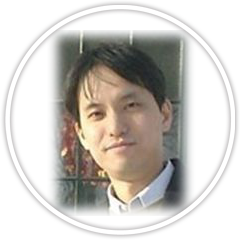 As the staff member in charge of the global education in this program, I am here to support your "personal globalization". We are in the midst of globalization. This attractive program aims to produce global leaders capable of accessing needs from an international perspective, providing valuable products and services, and creating new social values. I think that students are very lucky to have the opportunity to participate in such an advanced program. Although the number of Japanese students studying abroad is decreasing, the diverse international experiences, which are the core of this program, will help students grow into global leaders. Copyright © 2013 Nagoya University, All Rights Reserved.